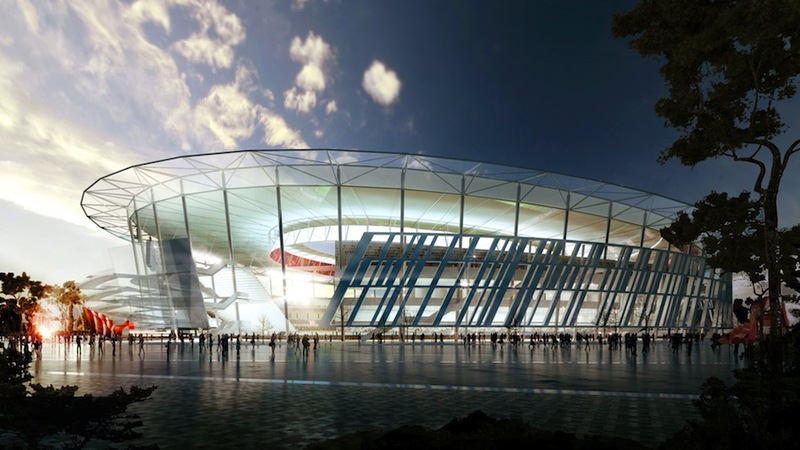 Rome is home to what is likely the most iconic example of sport architecture on the planet. 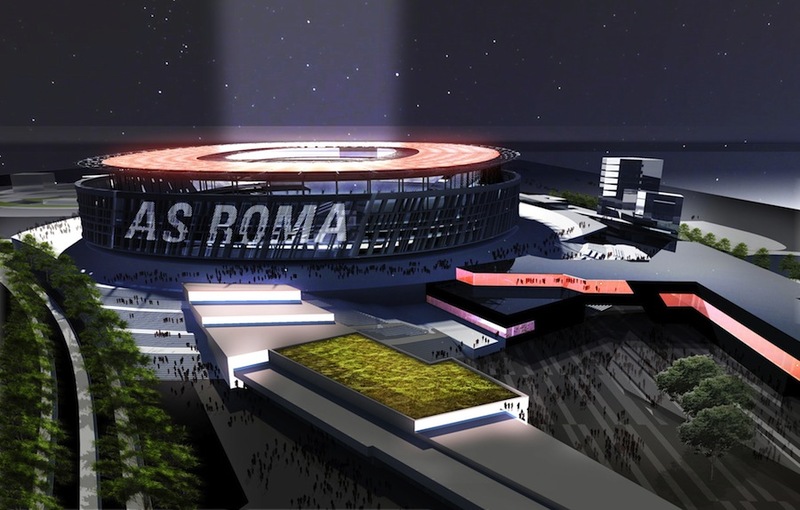 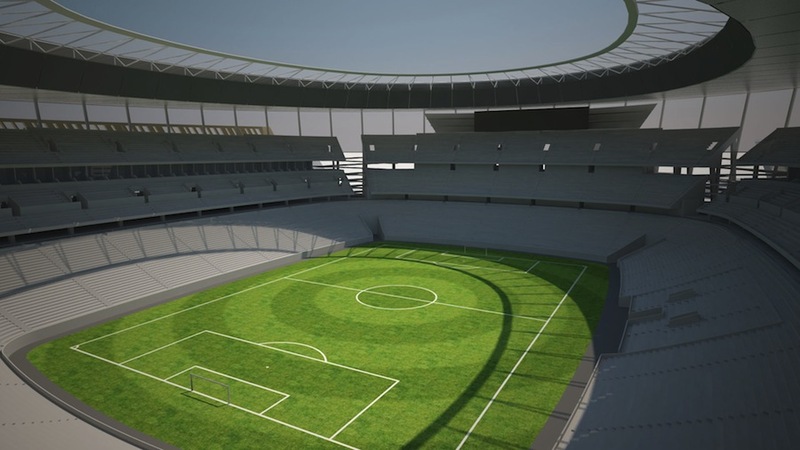 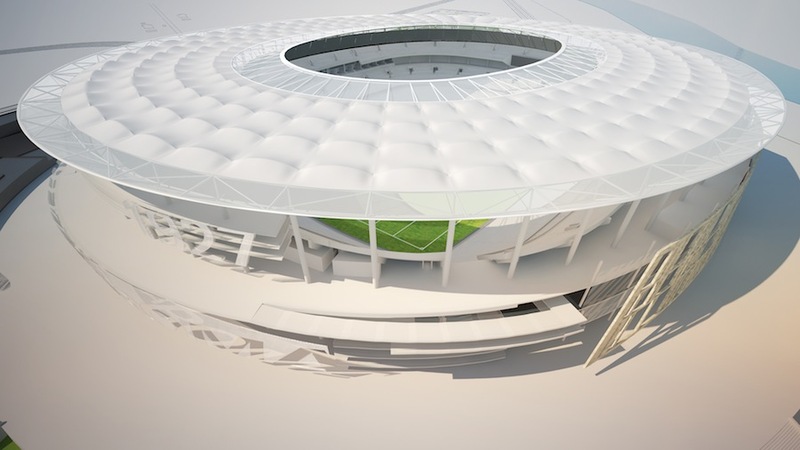 The Colosseum is a distant precedent for the design of most stadiums, but Woods Bagot has chosen to make the connection explicit in their new project for local soccer club AS Roma. 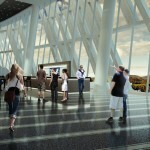 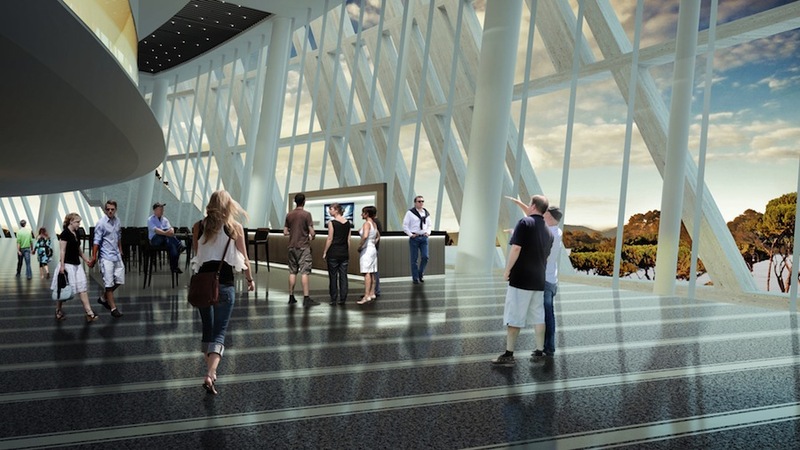 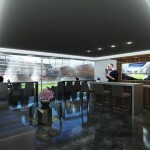 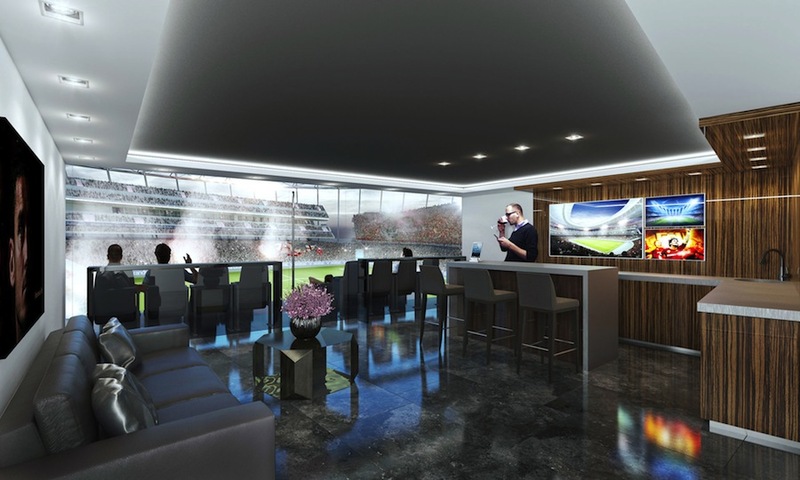 The international firm has unveiled their vision for a new, more centrally located venue set to open at the start of the 2016–2017 season. 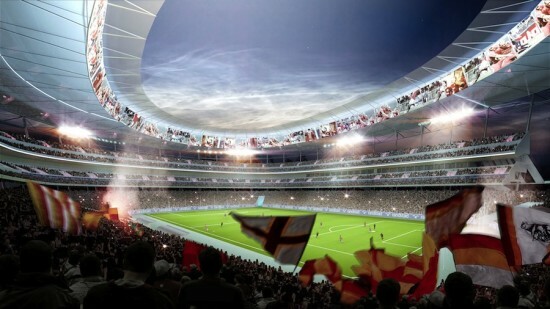 Stadio Della Roma is a 52,500 seat stadium designed explicitly with the concept of home-field (pitch if you’re in Europe) advantage in mind. 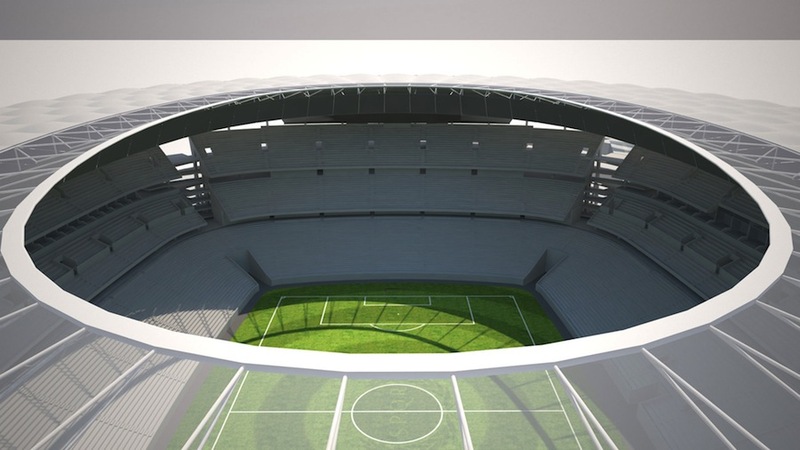 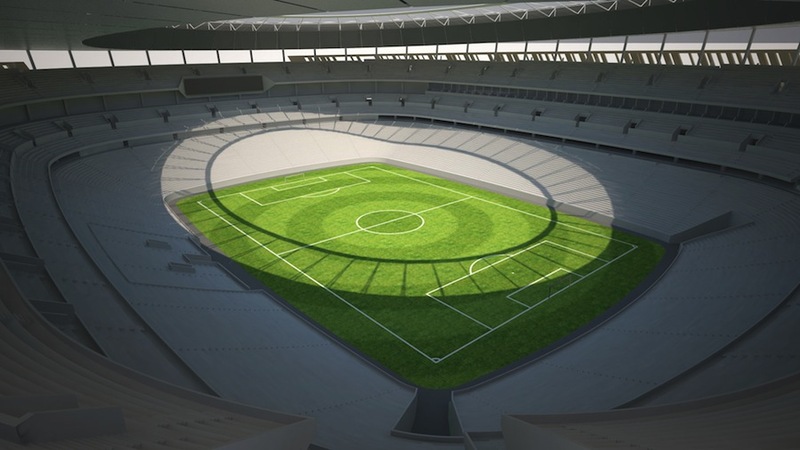 The building features a tightly wrapped seating bowl and a steeply-pitched, explicitly-delineated Curva Sud section for the club’s “ultras” or most ravenous supporters. 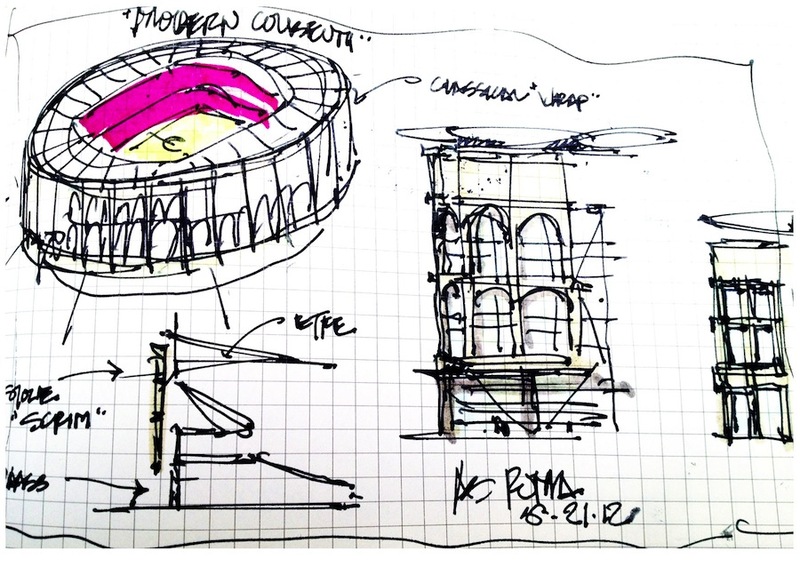 Ancestral inspirations manifest themselves in the form of a circular opening and a floating stone screen that envelops the structure and rewrites the curves of the arches of the Colosseum in a sharper, more angular vocabulary. 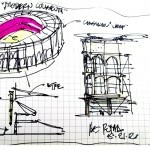 The scheme also calls for a large hydraulic elevator system that consciously or unconsciously nods to another Ancient Roman contribution to sporting venues. 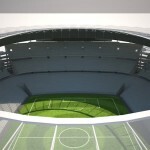 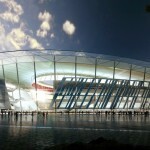 The new stadium’s lift will be used for bringing players to the surface rather than ferocious exotic animals. 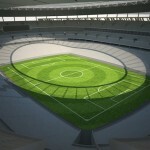 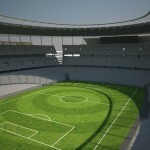 High-tech training facilities, a Nikestore and a Roma Hall of Fame will be other new amenities housed on the grounds. 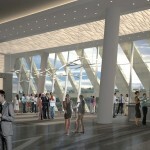 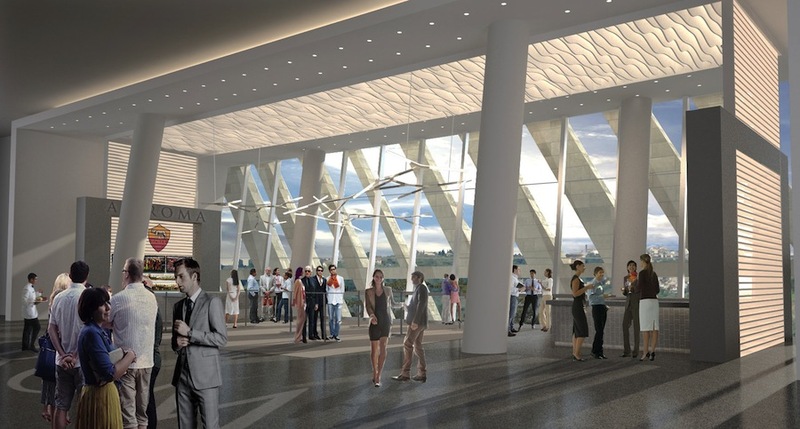 Dan Meis, a familiar figure in American arena architecture, will be leading the undertaking.